Sound system and performance (Pierre Hernandez): supports, hardware, performances, forms et dimensions variables, 2016. 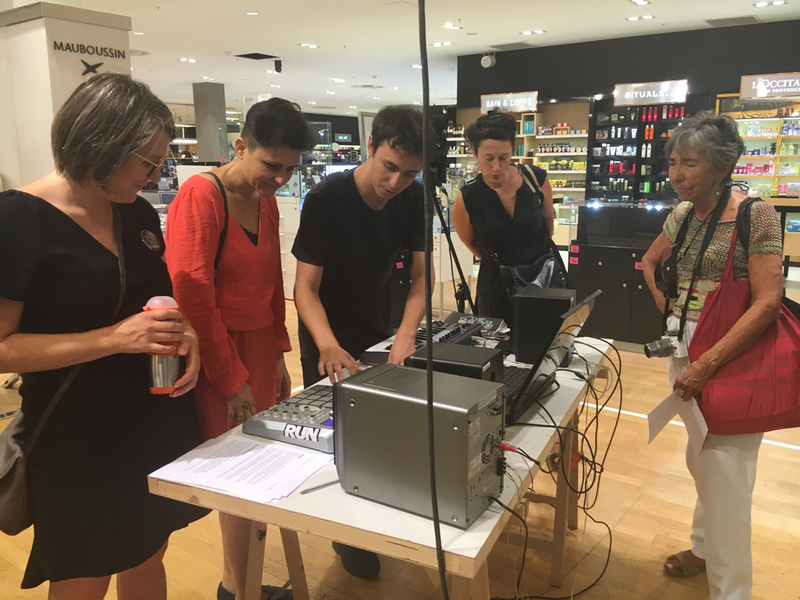 To understand this performance, we have to see it as an happening, the installation of a home sound studio in a shop, not as an attraction for visitors but as a potential place to work, this workshop is functional and it is always show running, a track composed by samples and scores was played by a musician. The interest of this piece is not on the quality of music but in the fate of this matters, the performer plays draft version and modifies it until it sounds good, several operations occur, composition, musical arrangement, mix and mastering. All I do is to set hardware in place with a row track, in fact, we don’t need sounds to understand the purpose of this piece but we need it to trust that this is live composed music or live working musician. This project is a rework of a previous work, Workshop.